This shop has been compensated by Collective Bias, Inc., MARS and Dr. Pepper Snapple Group. 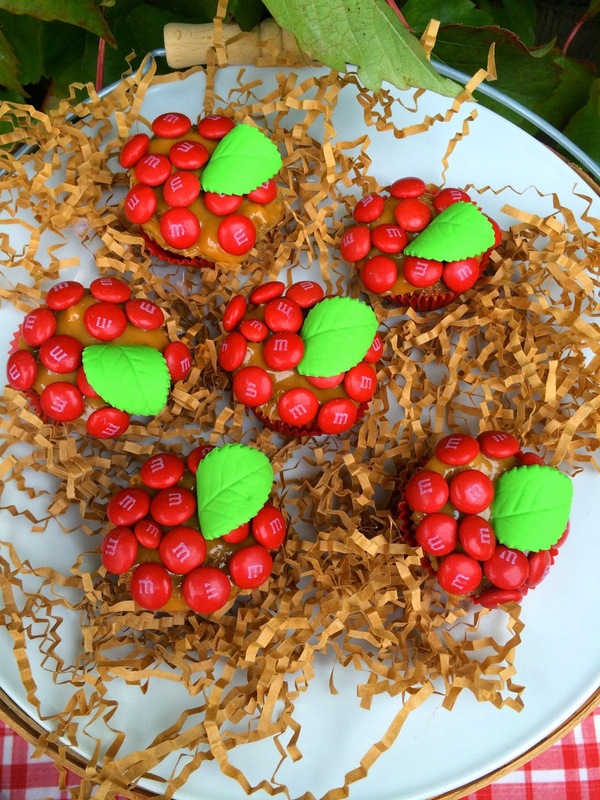 Crisp, sweet apples are my favorite Fall flavor. 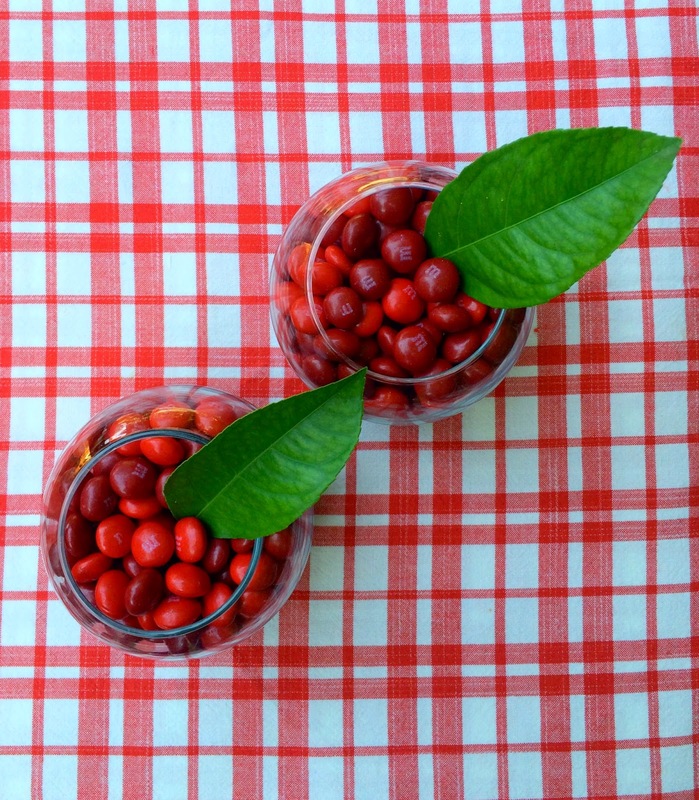 Why not celebrate the season with all the red deliciousness? 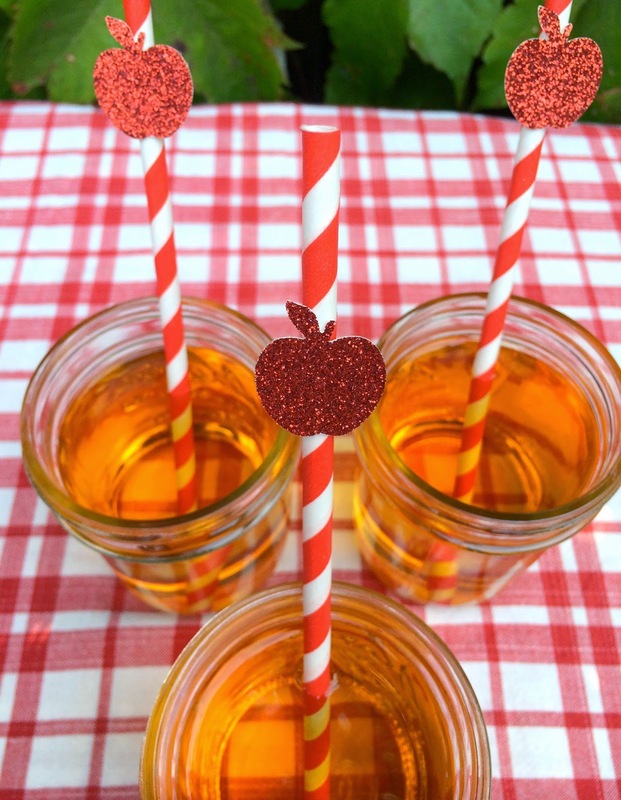 enjoyed with a refreshing glass of Mott's Apple Juice. 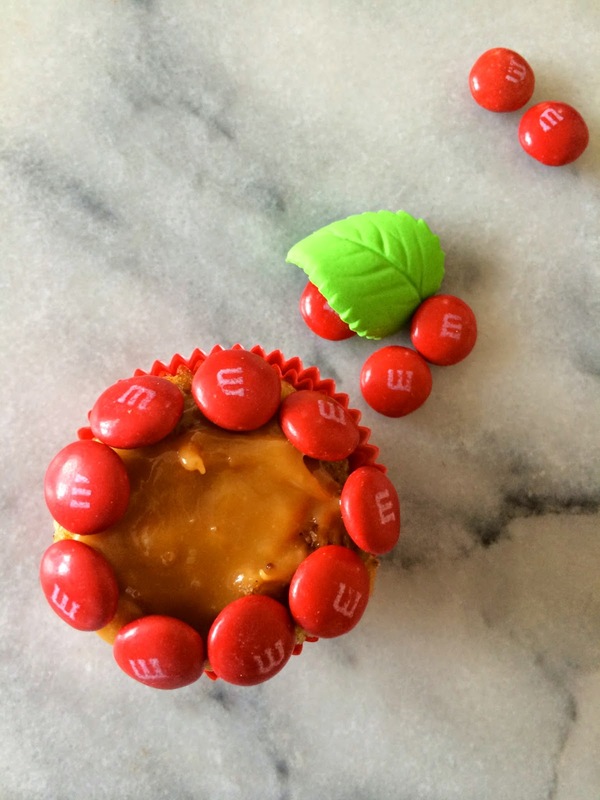 topped with M&M's and it is a treat you won't soon forget! 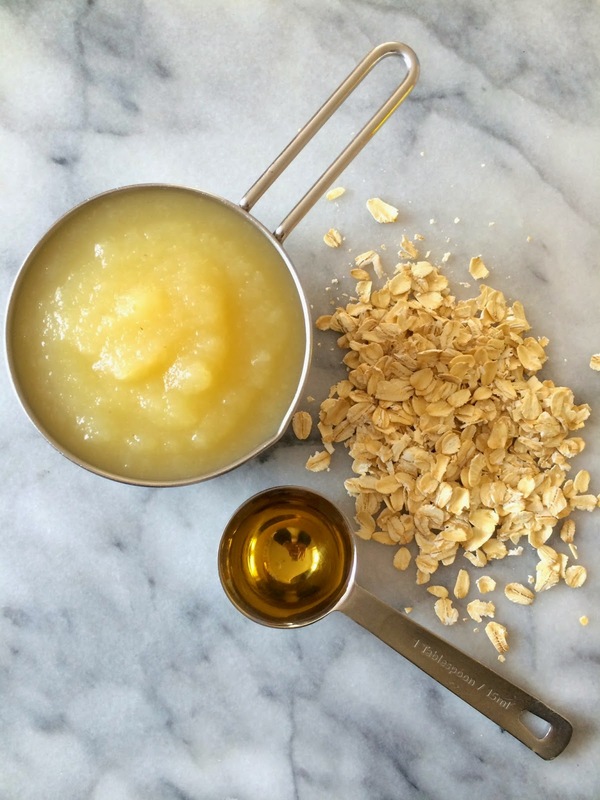 Mott's Applesauce and Apple Juice keep them so moist. 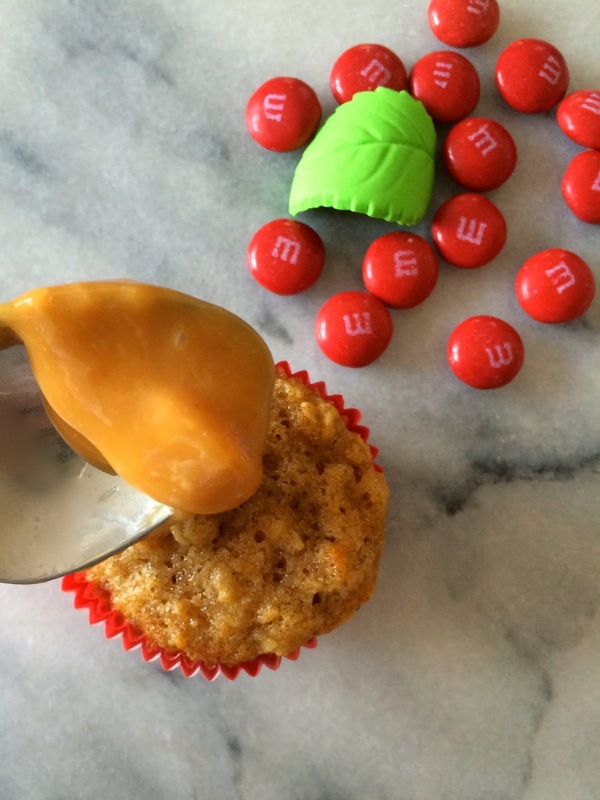 an ordinary muffin is transformed into a caramel apple chocolate sensation. In medium saucepan over medium heat, cook applesauce and apple juice until just boiling. Remove from heat, stir in oatmeal and let stand 15 minutes. In small bowl, combine flour, baking soda, cinnamon, nutmeg and salt. In another bowl cream together butter and sugar. Add in vanilla and eggs then slowly combine in flour mixture then applesauce mixture. Spoon batter in to mini muffin/cupcake pan filled with liners. Bake approximately 14 minutes. Once muffins have cooled. 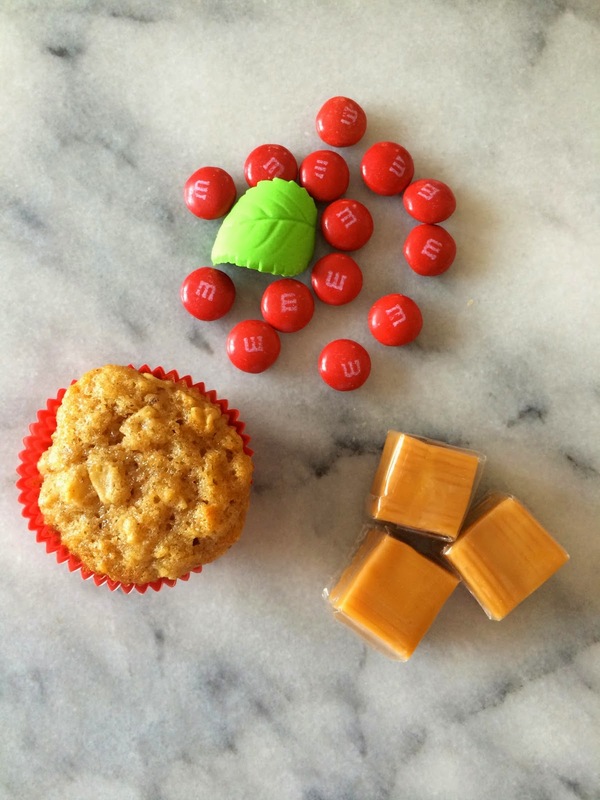 Melt 4 caramel cubes at a time, combined with 1 Tablespoon of water in a small saucepan over low heat. When melted, spoon mixture over muffins and gently spread with back of the spoon. 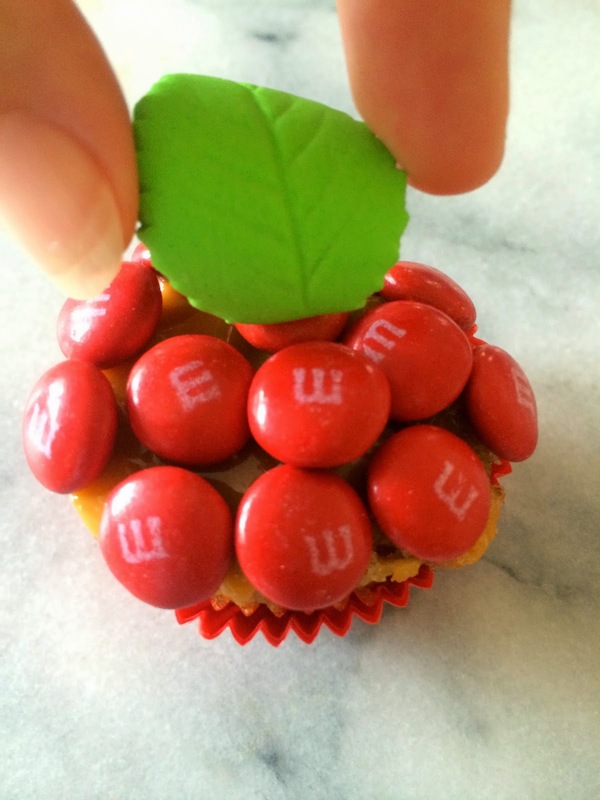 Top with red M&M's and Leaf. Repeat melting caramels and topping until all muffins are covered. 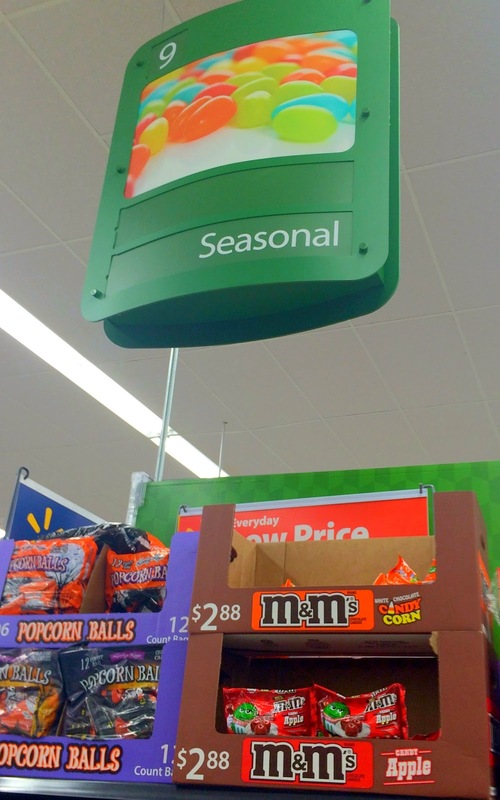 Candy Apple M&M's and my other new obsession, White Chocolate Candy Corn M&M's are available at Walmart in the Fall Candy aisle. 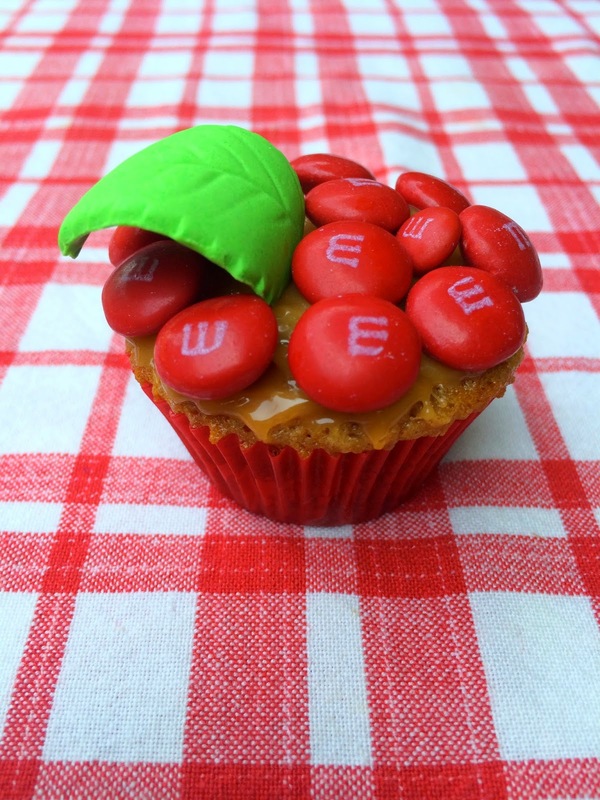 What a cute cup cake decorating idea - simple and so effective - love it. 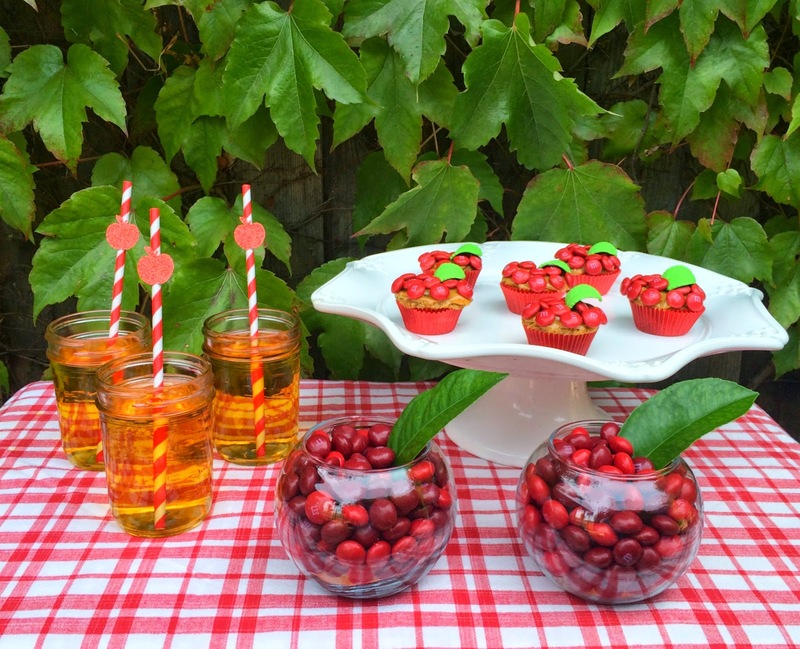 Stopping by from The Party Bunch link party. These are so cute! Pinned! These are so cute! I love the cupcakes. Well and the straws are cute too. Thank you for linking up to Party Time and we hope to see you again next week!